Christmas tree looking a little sparse? 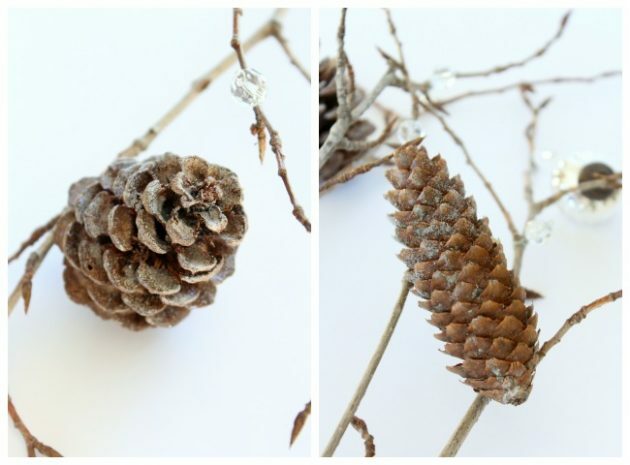 Make these twig and pinecone sprays, plus find out other ways to make your Christmas tree look fuller. Last Christmas, my intention was to donate our artificial Christmas tree and purchase a new one. It’s not that it was overly terrible looking, but I love how realistic and full some of the new options are, especially when they’re flocked. Unfortunately, November snuck up on me. Most of my time was consumed with finishing up our house renovations. Shopping for light fixtures, furniture and other items meant I didn’t have time to look for a new Christmas tree. So, I convinced myself there was no harm in giving our old one a go for one more season. I didn’t feel as though I was totally throwing in the towel. I’m not one to give up on things too easily and was determined to rectify some of our tree’s issues, specifically the unsightly gaps between the branches. With a little bit of brainstorming, I came up with the idea to make decorative sprays out of twigs. What’s a spray, you ask? Well, it’s something you’d typically add to a table centerpiece or floral arrangement as filler. I’ve used artificial evergreen sprays to decorate our staircase and front porch. Sometimes they’re known as sprigs or floral stems. This time, I decided to make them out of twigs to place in between our Christmas tree branches. They definitely helped to fill in the bare spots and added another layer of texture and shimmer. Think of them as Christmas tree filler branches. 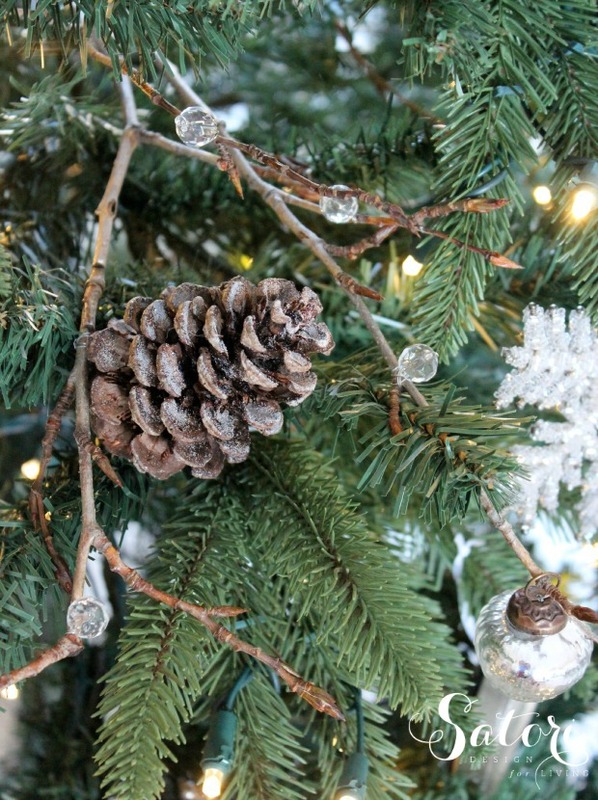 Before assembling, give the pine/spruce cones a light spray of adhesive followed by a dusting of glitter. They’ll catch the light and look so pretty on your tree. 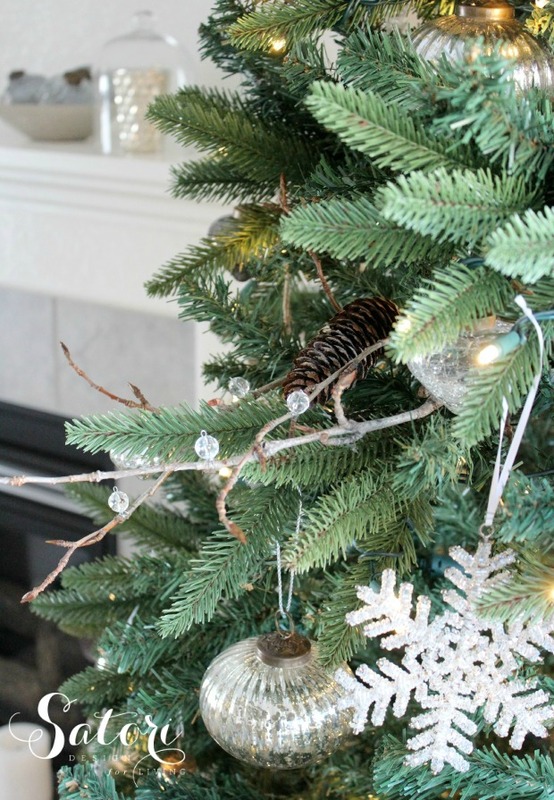 To form your base, gather a few twigs together (I had some left over from my twig and pine cone wreath project), and wrap jute string around a few times, followed by a knotted bow. 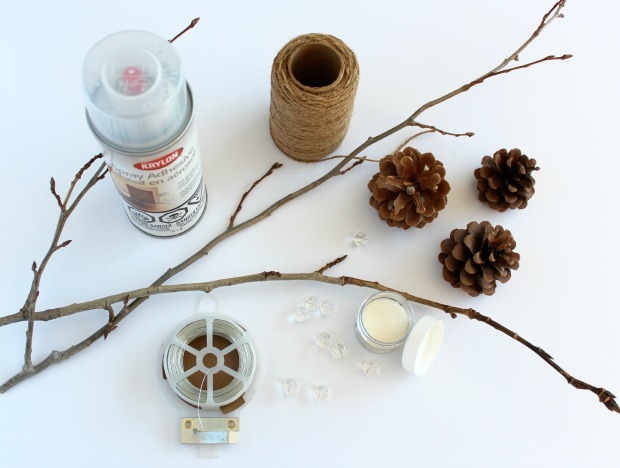 To embellish the sprays, attach pine/spruce cones and clear beads with florist wire. Just form a loop at the end of a piece of wire to hold the bead in place before wrapping it on the twig. Easy peasy! I hung some mini silver mercury glass ornaments from the twigs. Aren’t they cute? I like how the decorative twig sprays add a bit of nature to our tree and make it look fuller. Mission accomplished for next to nothing! And, at night, the beads and pinecones shimmer like ice. 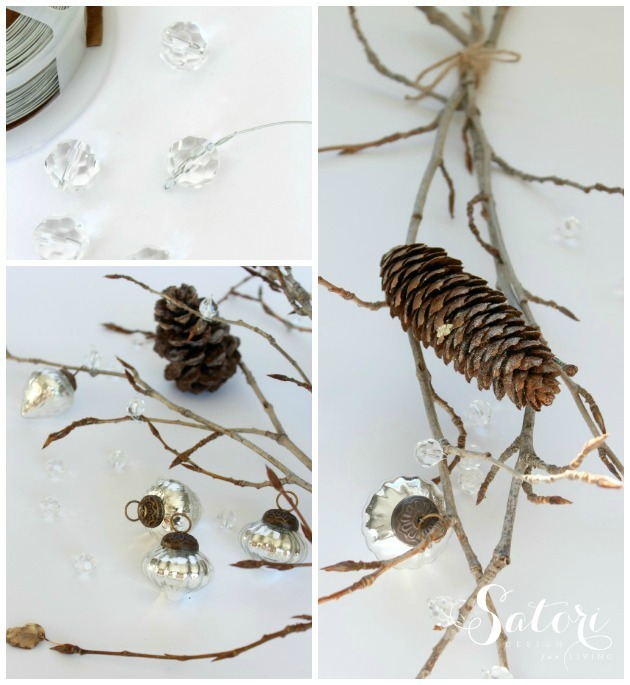 Although I made these twig and pinecone decorations for our faux Christmas tree, you could also add them to a real one. Sometimes they can be a little sparse looking too. For artificial trees, don’t leave the branches flat when you set it up. Most trees have wire, which allows you to adjust some parts up and some down. Plan on using about 100 lights per linear foot of tree. 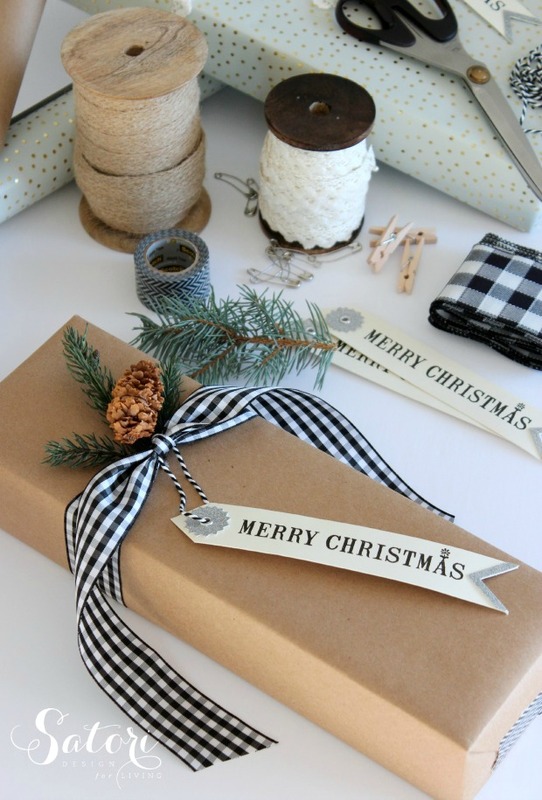 Wrap full-looking garland or wired ribbon around the tree from top to bottom or hang it vertically. 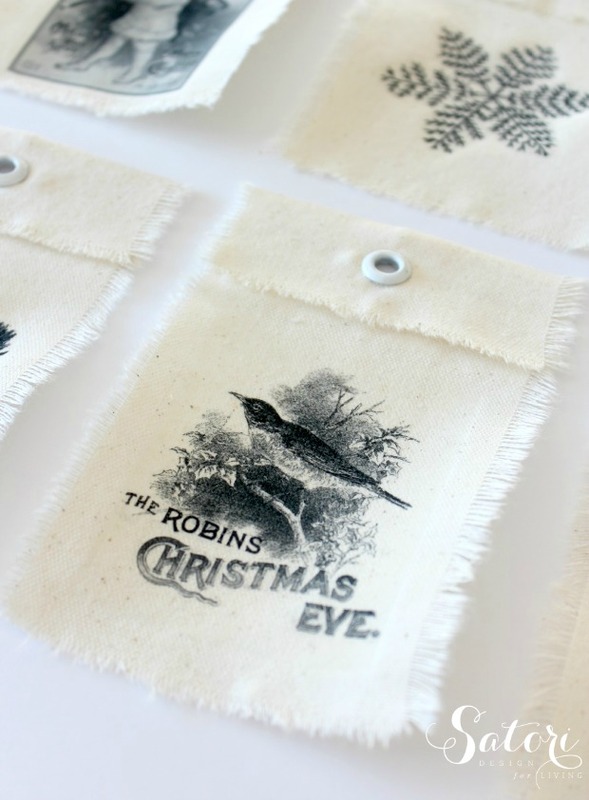 Hang large-scale ornaments where holes appear and fill in the remainder with a variety of smaller sizes. Choose a variety of textures to decorate your Christmas tree with. 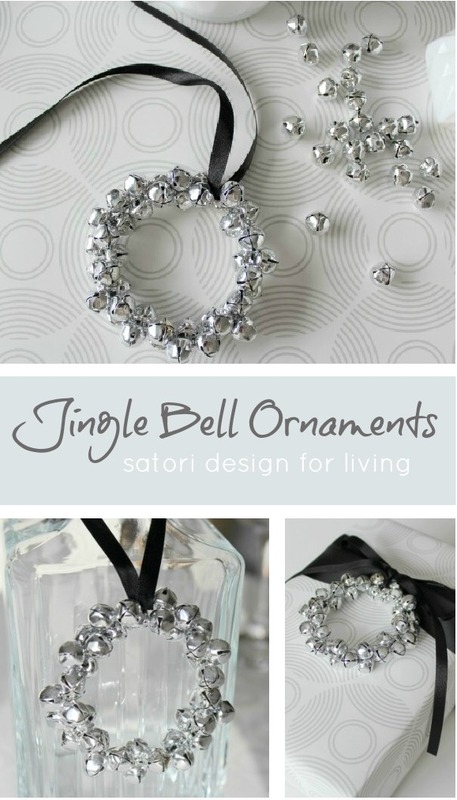 Use light coloured tree decorations mixed with shimmery metals to give more visual weight to the tree. Darker colours tend to recede. 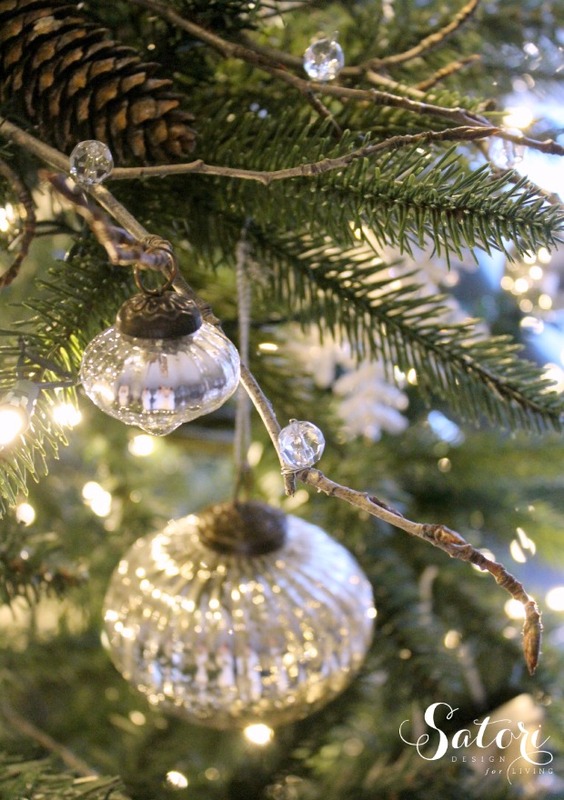 Be sure to pin these Christmas tree decorating tips for later!